In 1968, Congress created the National Wild & Scenic Rivers System to preserve sections of America's rivers with exceptional natural, cultural, and recreational value. Little more than one-quarter of one percent of the nation's rivers earn the Wild & Scenic designation, protecting them from dams and development, and—in some locations—securing them for whitewater rafting and other recreation. With man-made dams altering 17 percent of America’s rivers, experiencing the free-flowing beauty of a Wild & Scenic river provides a unique adventure and a tangible reminder of the places worth protecting. 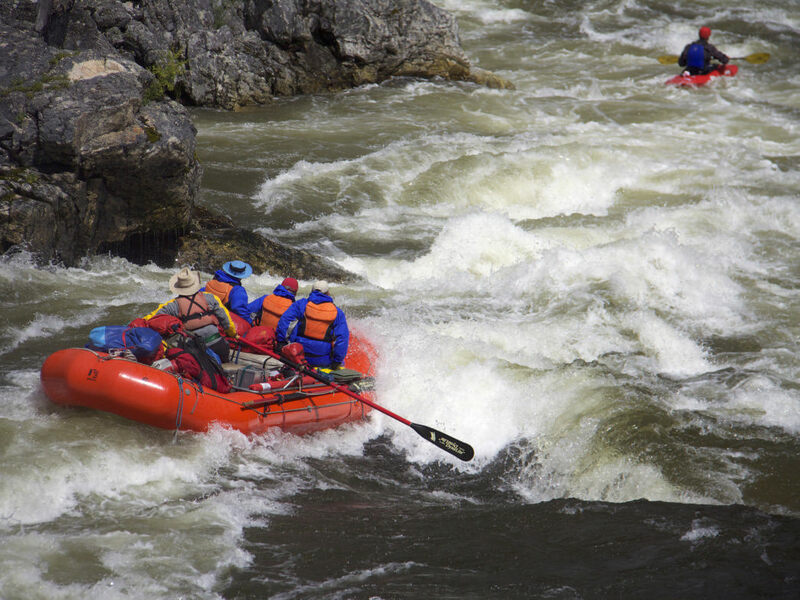 Here's a sampling of some of the West's best for rafting. Flowing from the High Sierras of Yosemite National Park down to California’s Central Valley, the 149-mile-long Tuolumne River courses through the heart of the state. Since there are several dams and aqueducts along the Tuolumne, often referred to simply as the “T”, only 83 miles of the river are designated as Wild & Scenic. To experience some of California’s best whitewater rafting, take a trip down the remote 18-mile stretch of the Tuolumne River just outside of Yosemite. This stretch offers technical, boulder-strewn rapids ranging up to Class IV+ as it winds through rugged Sierra foothills that come alive with California poppy blooms in the spring. It’s possible to raft the full section in one long day, or extend the trip with one or two nights of camping to earn more time fishing, hiking and relaxing by the river. Popular outfitters for commercial trips include All-Outdoors and ARTA River Trips, while private boating trips require an experienced rower and a permit. 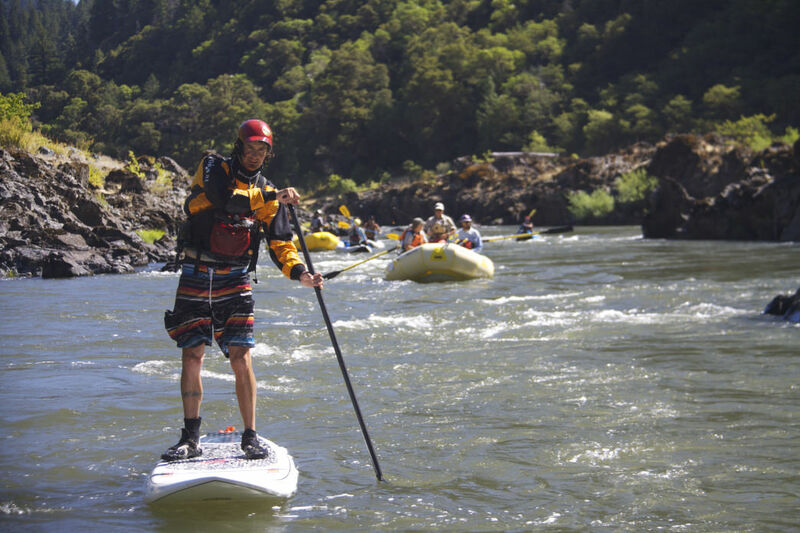 Starting in the Cascade Mountains of southwestern Oregon and flowing over 200 miles to the Pacific Ocean, the Rogue River features nearly 85 miles of designated Wild & Scenic River. Most rafting trips down the Rogue explore a 40-mile stretch full of Class I to Class IV- rapids, relaxing flat sections, historic sites, impressive rock canyons, waterfalls, pristine forests, and abundant wildlife. In fact, the wildlife viewing may be one the main draws to a trip on the Rogue River, with frequent sightings of mule deer, black bear, bald eagles, osprey, otter and blue heron. The Rogue is popular for three- to five-day rafting trips with plenty of opportunity for fishing, exploring side creeks, and visiting the historic sites along the river. Permits are required for private boating trips, while commercially guided tours are available through companies like Momentum River Expeditions, O.A.R.S., and Northwest Rafting Co. Flowing 104 miles through Idaho’s high country, the Middle Fork of the Salmon was one of the original eight rivers to earn the Wild & Scenic designation with the signing of the Act in 1968. Thanks to its remote location 20 miles northwest of Stanley, Idaho, the Middle Fork of the Salmon has seen very little intrusion from people and thus remains one of the only free-flowing tributaries in the Salmon watershed. 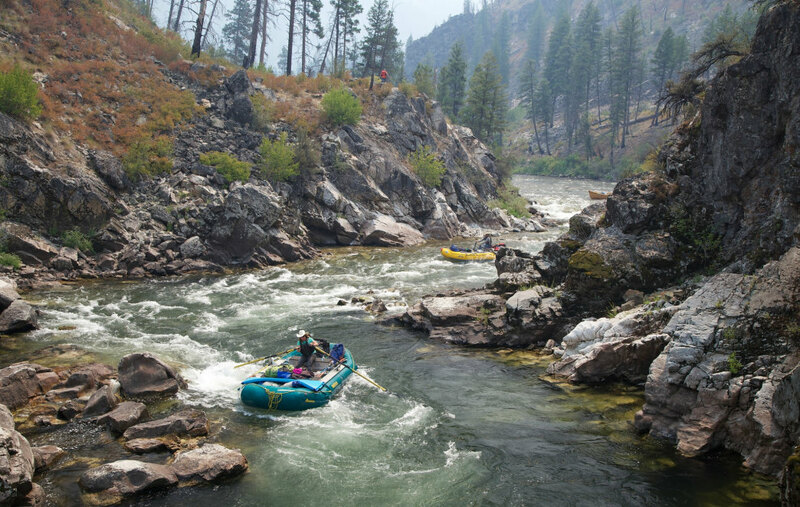 As the one destination on our list where the entire river is navigable by raft and protected as Wild & Scenic, a trip down the Middle Fork of the Salmon makes for an unparalleled experience. The river features over 100 rapids ranging up to Class III and IV+ as it flows through the Salmon-Challis National Forest, complete with granite canyons, rolling hills of wildflowers, and picturesque waterfalls. Aside from the challenging whitewater and mountain scenery, the Middle Fork of the Salmon is unforgettable for its abundant wildlife, multiple hot springs alongside the river, and Native American pictographs painted on the canyon walls. Local outfitters like Canyons River Company and Sawtooth Adventure Company offer five- to six-day trips down the river, while experienced boaters can purchase private river launch permits. Flowing from Mt. Adams to the confluence with the Columbia River Gorge in southcentral Washington, the Klickitat River offers a true wilderness rafting experience. Of the river’s 21 miles, the last 10.8 miles were designated as Wild & Scenic in 1986 for recreational use. Most commercial rafting trips take guests down a 15- to 18-mile stretch of continuous Class II-III rapids, which includes the Wild & Scenic section. Floating down the crystal clear water of the Klickitat River brings you up-close and personal with towering basalt cliffs, cascading waterfalls and the dense green foliage that the Pacific Northwest is known for. 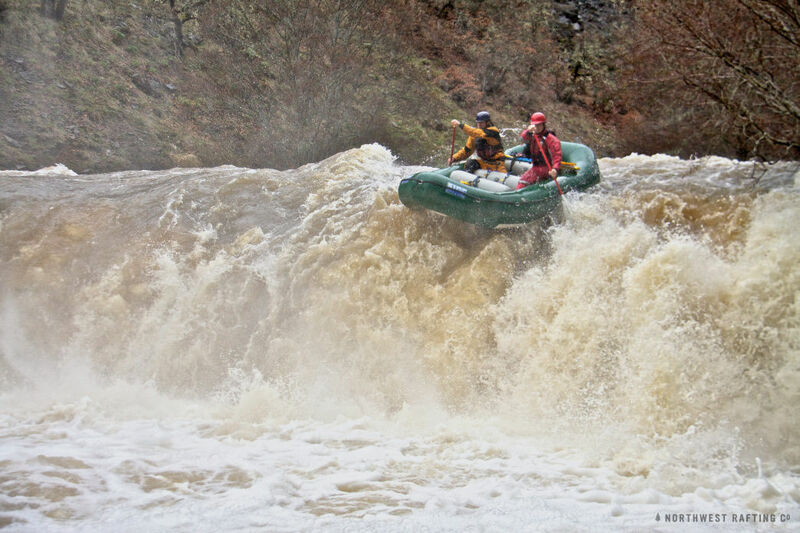 Because the Klickitat River is fed by glacial meltwater from the north, the rafting season lasts only a few months—April through June—and the water levels fluctuate naturally, affecting the difficulty of the rapids. Some of the biggest providers of commercial rafting trips on the Klickitat include Wet Planet Whitewater and Zoller’s Outdoor Odysseys. Home to North America’s deepest gorge at nearly 8,000 feet, Hells Canyon offers a spectacular setting for rafting. This 67-mile-long Snake River forms the border between Idaho and Oregon, with the towering Seven Devils mountain range to the east and the rim country of Oregon to the west. The majority of the river canyon is protected wilderness and the river itself was designated as Wild & Scenic in 1975 due to the scenery, wildlife, recreational opportunities, and its Native American history. The Snake River features several Class III-IV rapids and plenty of flatwater sections. Commercial rafting opportunities range from three- to six- day trips, depending on the water flow and the distance traveled. Taking a longer trip (five to six days) during the slower summertime flows affords rafters more time for hiking, fishing, and exploring Native American homesteads in the canyon. 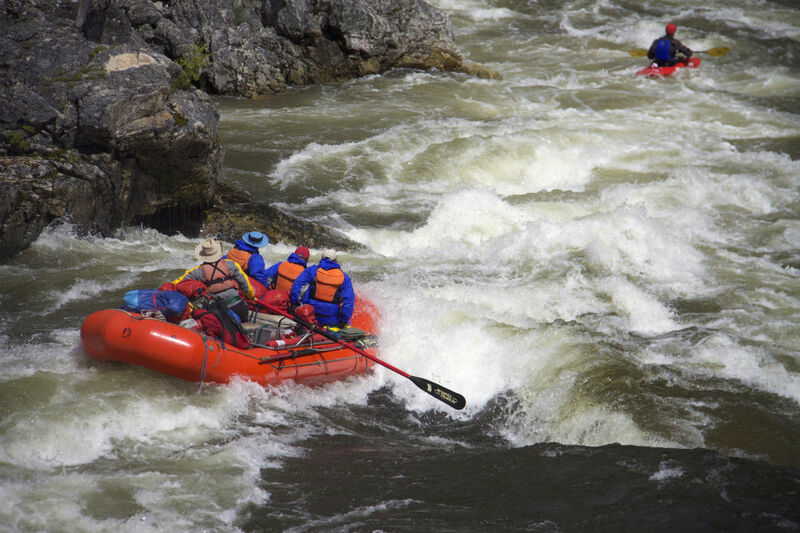 Some of the best-rated whitewater tours on the Snake River are available through O.A.R.S. 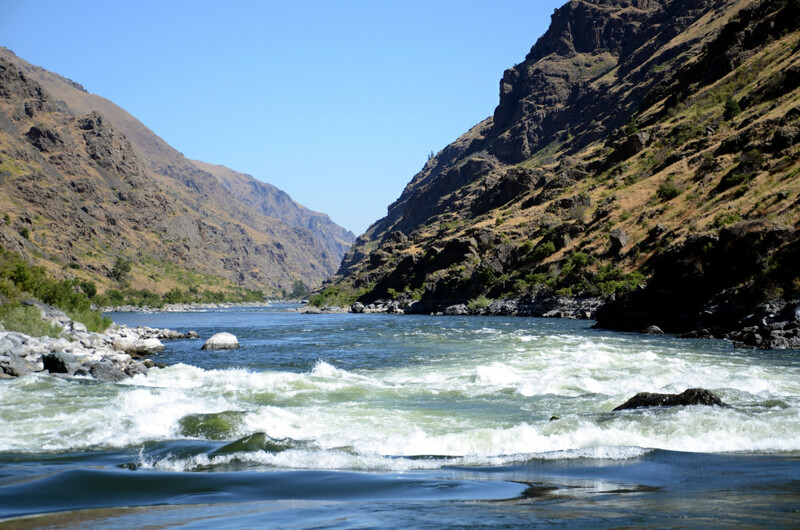 and Hells Canyon Raft, while private river launch permits are required for non-commercial trips.